Two weeks after a mass shooting in Pittsburgh, what’s being called the largest anti-Semitic attack in U.S. history, the Federal Bureau of Investigation confirms bias-motivated attacks are on the rise. 59.6 percent of victims were targeted because of the offenders’ race/ethnicity/ancestry bias. 20.6 percent were targeted because of the offenders’ religious bias. 15.8 percent were victimized because of the offenders’ sexual-orientation bias. 1.9 percent were victimized because of the offenders’ disability bias. 2.2 percent were targeted because of the offenders’ gender identity and gender bias. “In just the last two weeks, we have seen the mailing of bombs to Democrats, a racially motivated shooting at a supermarket a state to the west, and the murder of 11 Jews attending morning services in the state to the east,” said Miami University’s Michael Loadenthal. 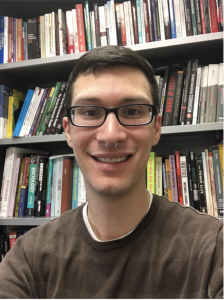 Loadenthal, visiting assistant professor of sociology and social justice, researches political violence and attributes the increase to shifts in U.S. political discourse, which he said is moving toward authoritarianism, nativism and nationalism. Such rhetoric brings racist tropes into issues like immigration and crime, and further fuels anti-Jewish conspiracies. As a result of the political tone, there’s been a 37 percent rise in crimes targeting Jews. Michael Loadenthal, visiting assistant professor of sociology and social justice, heads the research project The Prosecution Project (courtesy Loadenthal). Hate and terrorism: what defines it? Hate is evolving to become more lethal, more visible and more frequent, Loadenthal said. While recent attacks nationwide have linked suspects to white supremacist groups, he noted the Alt-Right movement has filled a vacuum left by the KKK and Aryan Nations. “Those of us who have been studying political violence in this country are far less surprised with the sudden rise of white nationalist, neo-Nazi, and fascist violence,” Loadenthal said. But, breaking down hate crimes in the justice system is the foundation for his ongoing research, The Prosecution Project. Started in March 2017, the project involves around 40 Miami students working to explore the relationship between what was attacked, by whom, and through what methods, and how a defendant is charged, prosecuted and sentenced in the U.S. 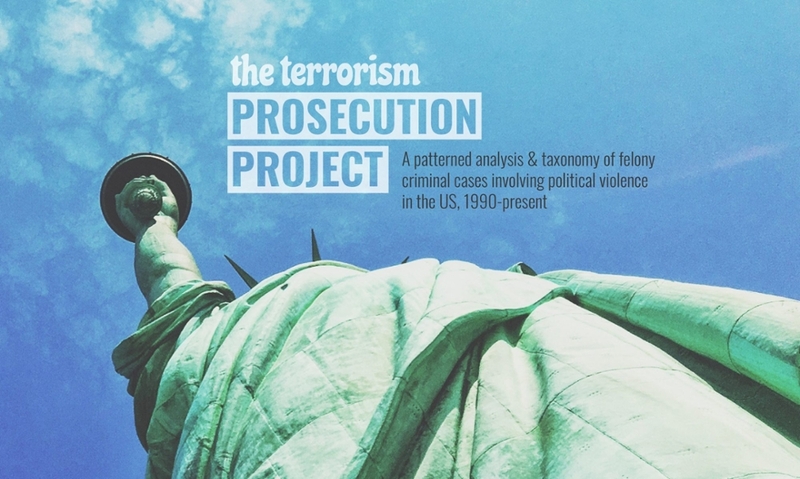 The Prosecution Project also aims to answer a broader question: What is the relationship between a defendant's ethnicity, religion, age or ideological motivation and the likelihood that they would be labeled a 'terrorist' or receive an atypically high or low prison sentence? Eventually, the group will create and publish a public database breaking down incidents of political violence, extremism and terrorism from factions including jihadists, nationalist/separatists, right/left-wing and issue-focused groups. Their research already generated one student-authored journal article to be published in a forthcoming issue of Critical Studies on Terrorism, with plans to partner with other leading terrorism studies journals this spring. The latest FBI report also revealed an increase in hate crimes reported at colleges and universities nationwide between 2016 to 2017. Miami University works to provide a safe environment through the No-Hate initiative. The campus and surrounding community are encouraged to combat hate-fueled incidents by denouncing biased ideas and actions. At Miami, a bias-related incident directed at an individual or group is viewed as an attack on the entire community. If you’re a member of the Miami community and feel you’ve been the victim of an incident of bias due to your race, religion, sexual orientation, ethnicity, national origin, gender, gender identity or disability, you’re encouraged to submit a Bias Incident Report. Miami University provides an annual report of hate crimes, reported to campus security authorities in accordance with the Jeanne Clery Disclosure of Campus Security Policy and Campus Crime Statistics Act. You can find more information on the initiative at the university’s webpage. The Bundys say fond farewell to "The Voice"